The Microchip SAM C series of 5V Cortex M0+ devices is designed for industrial and commercial applications in noisy environments. These products feature robust communications peripherals including the SERCOM module and CAN-FD, along with advanced motor control peripherals, and the Peripheral Touch Control (PTC) for developing robust user interfaces. The ATSAMC21MOTOR is an MCU card for Motor control starter kit - ATSAMxxxBDLCxxx-STK. 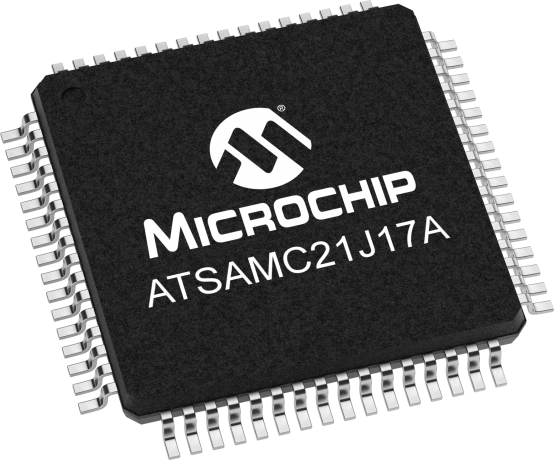 The hardware has the SMART ARM based MCU, ATSAMC21J18, with integrated on-board debug support. The MCU card can be directly used with the currently available ATSAMD21BLDC24V-STK, a low voltage BLDC, PMSM motor control starter kit. The SAM C21 Xplained Pro evaluation kit is a hardware platform for evaluating the ATSAMC21J18A microcontroller (MCU). Supported by the Studio integrated development platform, the kit provides easy access to the features of the ATSAMC21J18A and explains how to integrate the device into a custom design. The kit contains an MCU control board featuring the ATSAMD21 microcontroller and embedded debugger and a driver board with ON Semiconductor drivers supporting motors operating up to 24V DC. The PCB is mounted on a chassis with a motor and can be directly connected to a PC running Studio and START for immediate development and debug of motor control applications.